The winter holiday spirit is alive in every step, with the steaming mulled wine in festive mugs, roasted chestnuts served in paper cones (perfect for warming cold hands), spiced cookies, and other yummy treats. 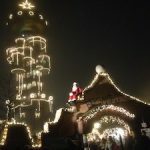 The winter markets, or as the Germans call it, Weihnachtsmarkt or Advent Market, transports you into a magical land, reminiscent of those beautiful, miniature, wintery villages placed on mantels during the holidays. If you are looking for good-value cruising in one of the most magical places in Europe, you’ll not find a more rewarding experience than an eight-day excursion on the Rhine River. 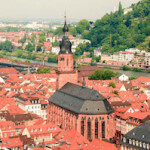 It is a comfortable way to see the spectacular European countryside without having to “go it alone.” And, with multiple stops along the way, optional excursions are available to see the thatch-roofed villages of the Black Forest, sample local cuisine, or meander the cobbled streets on your own.